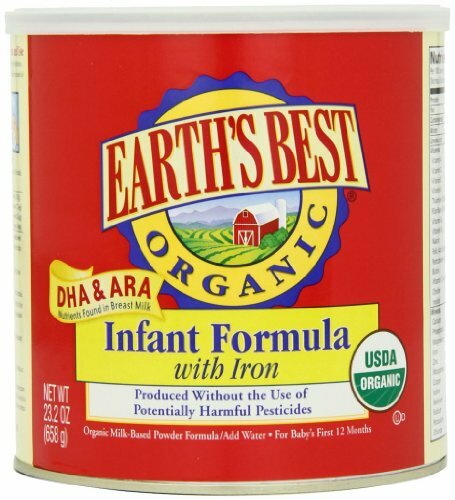 If you’re searching for the best organic baby formulas, this post should help. As parents, we all want the best start in life for our little ones and breast milk is the ideal feeding choice for babies. It’s packed with live beneficial bacteria and antibodies and provides everything baby needs in an easily digestible form. But breast feeding isn’t for everyone. Sometimes, it’s simply not practical, when work commitments get in the way or we find we can’t produce enough breast milk to pump (that was me!). Other times, newborns just can’t seem to latch on. And of course, some mums simply don’t want to breast feed for their own personal reasons. This is where a decent organic baby formula can help. So much food today is mass produced, employing farming methods that can leave food devoid of nutrients and contaminated with pesticides. Organic farming on the other hand, promotes a more environmentally friendly and socially conscious approach that avoids the use of man-made fertilisers, pesticides and GMO practices. All baby milk formulas, even organic ones, contain processed, or artificial ingredients, to a larger or lesser degree. 1 – Is It Milk Or Soy Based? Soy formula is usually recommended by healthcare professionals for an milk allergy. There are some concerns that soy based formulas may be high in phytoestrogens, which mimics the hormone estrogen in our bodies and may affect developing reproductive health. So unless advised otherwise, milk may be a wiser choice. 2 – Is It High In Synthetic Nutrients? In the US, the FDA stipulates that infant formulas must contain certain nutrients, some of which can only be produced artificially. Some of these ingredients have been banned in the EU (where regulations are much tighter), mainly over concerns that some of these synthetic ingredients are produced with toxins. Key ingredients to look out for are lutein, lycopene, nucleotides, taurine or l-carnitine. More added artificial vitamins and minerals also doesn’t necessarily mean ‘better’, since the actual efficiency of synthetic vitamins & minerals is itself up for debate. 3 – Does It Contain Carrageenan? Studies have linked carrageenan to gastrointestinal issues and it’s been banned in European baby formula since 2007. So look to steer clear. 4 – Has Sucrose Been Added? Look to avoid formulas with added sucrose. There are concerns it may contribute to obesity and it’s been banned in EU baby formulas for this very reason. Palm oil continues to cause controversy, both in sustainable terms and with regards to whether babies can readily digest it. I try and avoid it where I can, (not always easy) or at least opt for organic or ethically sourced. 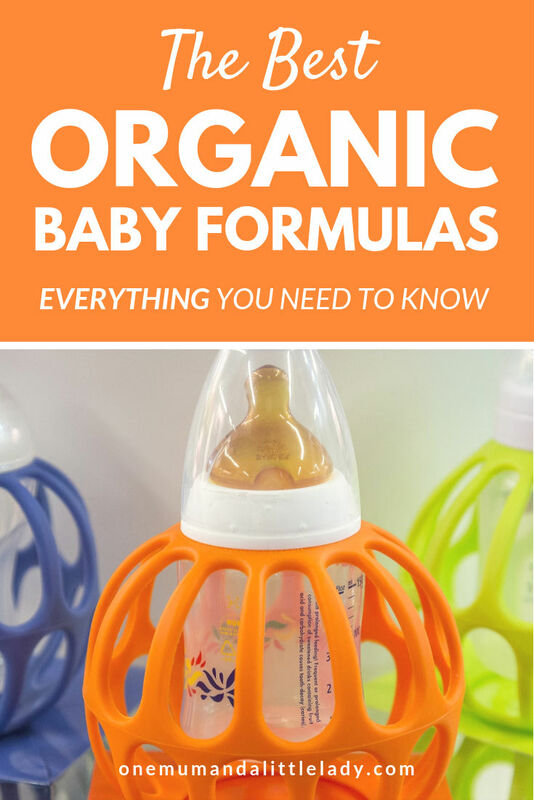 Debating the full contents and production processes, used in commercial baby formulas, is complex and beyond the scope of this post, but the above tips should help you make a more informed choice. Because the EU has tighter restrictions on the contents of baby formulas, (meaning they tend to contain less synthetic ingredients and artificial nutrients), I’d recommend considering Holle or Hipp Organic Baby Formula. Both formulas are produced according to EU Organic Standards and use organic milk as a minimum, (Holle uses biodynamic farming, which takes organic a step further, by adhering to the even stricter Demeter standard). At the time of writing, both brands also appear to meet the guidelines above, apart from the presence of palm oil. Hipp Combiotic Formula (although not a soy based milk) does also contain soya lecithin, as an emulsifier. My personal preference? That would be Holle – it’s what I used to supplement breast milk, when my daughter started nursery. I’m also a fan of biodynamic farming. contains milk from cows grazed naturally on lush biodynamic fields/pastures (carries Demeter label). Note: Recipes can change, so always refer to manufacturer details to be sure of current ingredient lists. 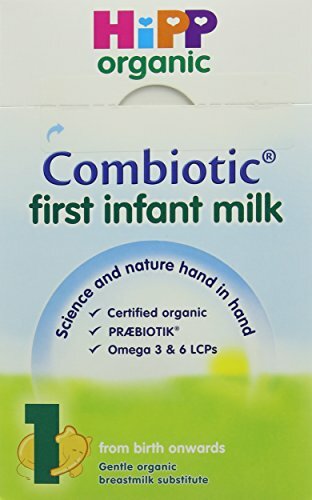 Organic skimmed milk, organic demineralised whey powder, organic vegetable oils (palm oil*, rapeseed oil, sunflower oil), prebiotic fibres (galacto-oligosaccharides from lactose), organic lactose, LCP oils (fish, vegetable), calcium carbonate, emulsifier soya lecithin, potassium chloride, L-tyrosine, L-phenylalanine, vitamin mix [vitamin C, vitamin E, vitamin A, niacin, pantothenic acid, thiamin (vitamin B1), vitamin B6, folic acid, riboflavin (vitamin B2), vitamin K, biotin, vitamin D, vitamin B12], magnesium carbonate, zinc sulphate, L-tryptophan, iron sulphate, stabiliser (lactic acid), copper-lysine complex, potassium iodate, manganese sulphate, sodium selenate. * From sustainable organic production. 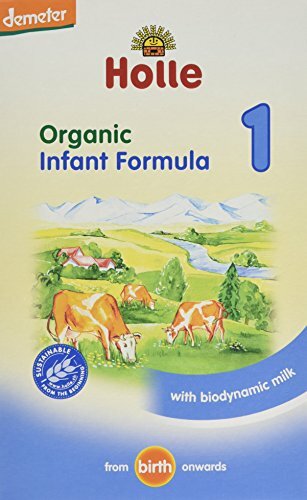 Holle and Hipp are both EU produced baby formulas and I’ve only seen them available in the US on the Organic Start website. 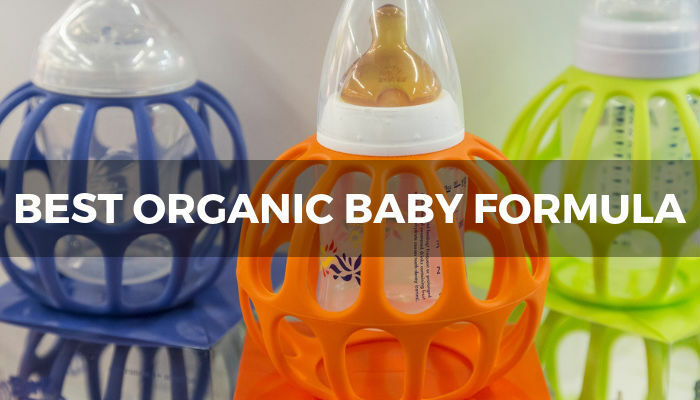 Unless you buy in bulk, they seem to work out a little more expensive than UK prices, so if you’d prefer another popular organic baby formula, take a look at Nature’s One or Earth’s Best. Keep in mind though, whilst they’re both organic, they don’t meet all the guidelines above. Did you know it’s also possible to make your own baby formula at home? Whilst this route may not be for everyone, The Weston Price Website offers some comprehensive recipes if you want to try your hand at making your own baby formula. Should I Filter The Water I Use To Mix Baby Formula? Filtering water is always a good idea. Municipal water companies add chlorine to water supplies to kill off bacteria and fluoride is often added too, especially in the US. You can read more about common contaminants in tap water here. Since babies have sensitive, growing immune systems, the cleaner the water, the better. I use this water filter (it’s an investment, but should last you a lifetime) but even an inexpensive water pitcher filter will make a worthwhile difference. The old adage ‘breast is best’ still stands true – there’s no real substitute for a mother’s breast milk. However, if you can’t breast feed, find it’s not always practical or simply don’t want to, an organic baby formula such as Holle or Hipp Organic, are, in my view, 2 of your best shop-bought options. If you’re still not sure which organic baby formula to choose, always consult a healthcare expert for advice. Note: If you do want to breastfeed, but are having problems, La Leche suggest most breastfeeding issues can be resolved – you can search for a local support group here.